Are these the toughest athletes ever???? 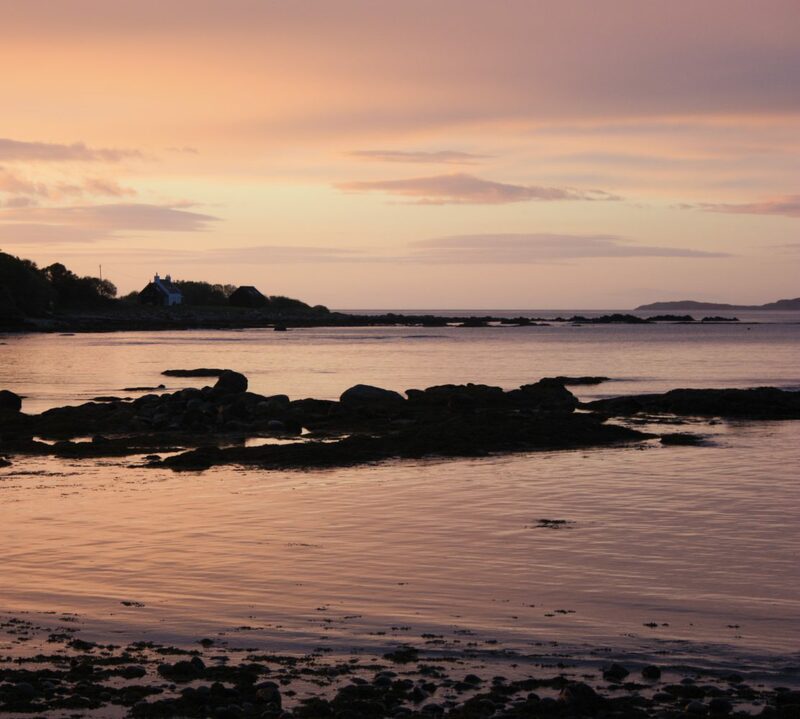 First a 3.8k swim in cold, deep, jelly infested Atlantic waters ……. Yikes! 39 nations were represented in this years challenge with the male winner being Lasse Finstad of Norway completing the course in 11 hours and 42 minutes. The female winner was Bonnie Van Wilgenburg completing in 13 hours and 13 minutes, knocking 45 minutes off the course record. It’s not just Scotland that hold this intense challenge, Celtman is part of the allXtri family which consists of Norseman Xtreme Triathlon and the Swissman Xtreme Triathlon. We saw several of the competitors pass the house on the cycle part of the route. It was a great day for it, bright & dry. They must be loopy. Good day to be a spectator!!!! Anyone fancy giving it a go next year??????? What to do??? Euro 2016 or Tiny Plover Chicks?? Wandered down to Laide Beach & these gorgeous little chicks were scampering about, they are only a few days old and they still have a slight wobble about them. A Sandpiper was milling around fluffing out his chest, he wasn’t too happy with me being there either. The little Plover chicks are so well camouflaged it was pretty difficult to find them sometimes. Thankfully no Gulls had spotted them whilst i was there so the camouflage is working so far. We have been having some really great sunsets of late. Here’s just a snippet (and none of these images has had any colour alteration!!!)….. And just one more thing…. this little fella was having a munch in someones garden near Mellon Udrigle Beach! CNN ‘Has Scotland created greatest road trip ever? 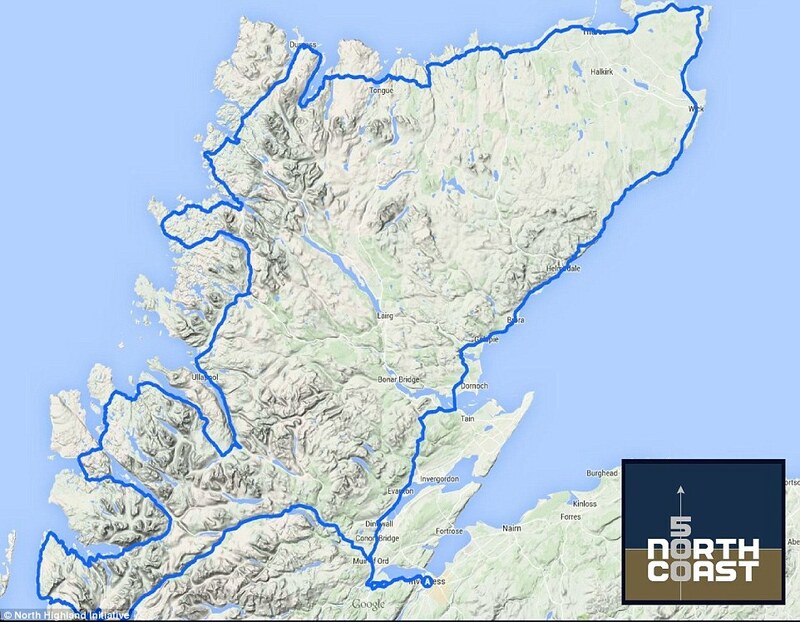 North Coast 500! Daniel Allen for CNN has reported on the NC500 route around the Northern Scottish Highlands Coast. NC500: Has Scotland created greatest road trip ever? The Daily Mail also reported about the route in March last year. Great advertising for the area and it helps us too! The NC500 team are doing a great job of getting the word around. Here at the B&B many of our overseas guests have been completing the route including, Belgian, Swiss, Austrian, Dutch, German & Polish guests. Certainly the NC500 is being embraced by our guests and why wouldn’t you. It’s a cracking trip to take. Windy!!!!!! Of Gorse it is! For a couple of hundred metres the path alongside the river was a tad overgrown……….. But it soon opened up to reveal the beautiful scenery and Charlie seemed to enjoy his light refreshment! Further along the path the waterfall appears through the trees, it was pretty tame after the recent dry spell but none the less impressive. We didn’t venture further than the waterfall this time but the path does continue along the river (with abit of a rock hugging) to another waterfall & over the hills to meet Gruinard River & Loch na Sealga. Heading back to the beach there was plenty of Bog Cotton on display & some Gorse had managed to find an unusual home. Below is the the bridge over Inverianvie River with a very strategically placed tree trunk, probably used by the local Pine Marten population. Over the last week we have seen on 3 separate occasions White Tailed Sea Eagles, the first was over Aultbea just on the outskirts of the village, the second which was being hounded by a crow was near Laide wood heading towards Slaggan Beach and the third, pictured below, flew right over the house heading towards Aultbea. They always stop us in our tracks no matter how many times we see them. The Eagle really was high in the sky & directly above our heads so unfortunately the photo isn’t great quality but the white tail is visible. We have seen them several times now near the house so who knows there could be a nest near by.